While you’re dreaming of your Galapagos Islands vacation, these books will transport you back to the times of some of the original human settlers of these enchanting isles. Read them in the comfort of your home or toss a few into your suitcase. The Galapagos Islands has a fascinating human history, dating back several hundred years. Our list includes the accounts of explorers and colonizers, and a few literary works inspired by the Galapagos’ colorful inhabitants. The human history of the Galapagos Islands, from their possible discovery by the Inca, and through the centuries with pirates, whalers, explorers and scientists. Includes a chapter on the Charles Darwin Research Station and the National Park. In the Galapagos they say the giant tortoise can see the true heart of humans. What have these long-lived reptiles seen of those that wanted to exploit the islands? Without a doubt, Woram’s book provides the best overview of the Galapagos Islands’ human history, recounting the experiences of a bishop, buccaneers, whalers, settlers, a US President and (of course) Charles Darwin. William Dampier was much more than a mere 17th century pirate: he also was a naturalist and scientist who wrote three best-selling travelogues. This book is not only a biography of Dampier’s life, but also an in-depth examination of the pirate way of life. Like many Galapagos settlers in the 1930s, the Conways thought they might have better opportunities in the Islands than in Depression-era US. In the 1930s, the Angermeyer brothers set out to sail the world, but settled in the Galapagos Islands. Joanna tells their story, and why she never got to know her father, Hans Angermeyer. Treherne examines the real-life murder-mystery on Floreana Island in the 1930s that involved the Baroness and her two lovers, Friedrich Ritter and his companion Dore Strauch, and the Wittmer family. The events surrounding Floreana’s German colony in the 1930s – as told by Friedrich Ritter’s companion. Wittmer’s book focuses more on her family’s homesteading on Floreana for over 50 years, though she also touches upon the events leading to the mysterious disappearances and deaths that affected the small German colony in the 1930s. In this novel, Ecuadorian writer Vásconez speculates about whether the Germans settlers on Floreana Island were, in fact, spies for the Nazis, Japan, Stalin and the US. Another novel about real-life Galapagos colonizers … and perhaps spies, but Amend takes the Conways as her topic. This collection of stories includes “The Encantadas, or Enchanted Islands,” ten stunning sketches about Galápagos. 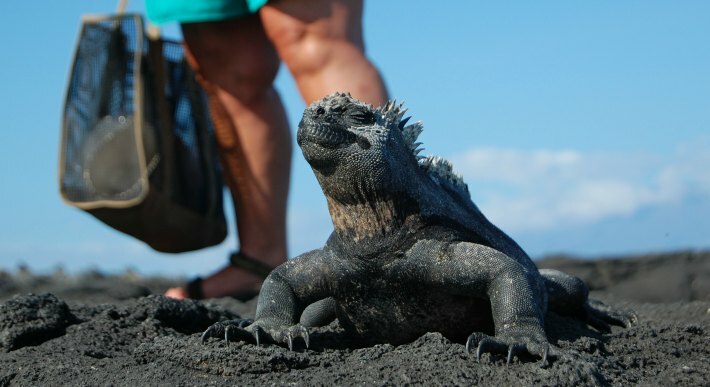 Check out the other parts of Galapagos Travel Planner’s exclusive “Twelve Titles on Galapagos” series: Natural History, For Children, and Videos. Did we include your favorite book? Share it in the comments below.